One of a woman’s best kept secret is her size. It’s rude to ask and more so a miracle if something actually fits without a dash to the fitting rooms. I’ve actually known girls cut size tags out of their clothing, all to hide that elusive digit on their pants. I’ve been anything from a size ten to a size fourteen over the past five years, my average size has always been a twelve. Over the past year I have found myself reach a fourteen again, be it that bit more indulgence here and there. I am a naturally very self-conscious person. I wouldn’t outright say weight troubles me the most, though it does trouble me. So for the first time in my life, I actually feel like I have come to a point where I want to lose some weight. The goal being to work towards a healthier lifestyle and in turn find that bit of confidence I have always been searching for in my life. Surely being happy and healthy come as a given. I have countlessly gone on diets in the past, I spent my teenage years obsessing over my weight, pretending to exercise, telling myself I have to lose weight because of ‘x’ reason, by a certain date and guess what? It never happened. All of those reasons and time scales now, were all of ridiculous. And all that time I forgot about me, whether I actually mattered. The fact we only get one body makes it all the more reason why I’m doing this for me and me alone. You go girl! I'm with you all the way, i'd love to see you love yourself just as much as i love you! Wise words, Alice! I would wish you lots of luck but if you're mind's set on success then you won't need it. You said it! Its all a number at the end of the day, so much as the fact that the sizing is totally different in the USA so i've lost a dress size or two merely by moving! Saying that my feet have increased two sizes!! I don't even shop by size any more, if something looks like it fits then I buy it...my wardrobe varies from size 6 through to size 14 with very little difference in how the pieces fit, it just depends where they are from. You said it Alice, being happy and healthy are what are important. Good luck. Although I don't need to lose wait I do need to eat more healthily. I can relate to this, I fluctuate from size 10 to 12, but I have had to buy 8's or 14's before from certain shops, but it's just a number to me now :) as long as the clothes look like they fit, then they're mine! You're in the same position as me by the sounds of it Alice, I don't really worry about my weight that much (and never did pre-kids) but I would be happier as a definite 10/12 rather than a more often 14 - not because I care about the number, but because I want my existing clothes to fit me properly again. 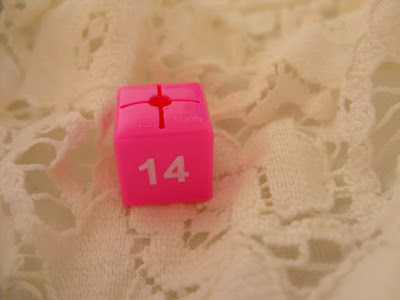 A properly fitting 14 is far better than an ill-fitting 10, to my mind, and I have no problem with the number if it looks good on. I have a jumper in a size 16 which would have looked obscene if I'd bought it in the size 10 I was in other shops at the time! I want to lose a bit of bloat - that's why I've given up chocolate and alcohol for Lent. Of course I need to make sure I also make healthy choices to replace these - not crisps and coke! Being healthy & happy is definitely the most important thing. I'm always telling myself to diet but at the end of the day, life's too short to make myself that miserable. Instead I'm trying to eat healthier generally but enjoy the occasional piece of cake! Very thoughtful post, I think this is a controversial topic but everyone has their own take on it. I think if people are unhappy with their weight they should be proactive about it, but I understand it isn't always so easy. hey I am one of those girls who cuts the size tags out of my clothes lol although new look have some items where it is stamped in the actual item so very bad ! I've put on a bit of weight lately but I've always been good at dressing to suit my shape even if it is changing and I find sizing in shops is just madness! Before I went on holiday I was concious I wouldn't feel confident in a bikini so I brought a tankini but didn't wear it the whole wear realising I wanted a tan more than worry about what people thought about my stomach and borrowed my friends bikini top all week! !